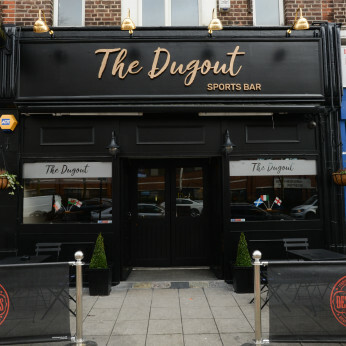 The Dugout Sports Bar is a family run sports bar with 4 large screen HD TV'S. We show live Sky Sports and BT Sports along with Horse Racing on ATR and Racing UK. The Dugout Sports Bar is dedicated to showing all sports to our customers in a clean and fun environment. We have a great selection of draught and bottled lagers, ales and ciders that are competitively priced. Come and take advantage of our offer at The Dugout Sports Bar of 4 Bottles for £10!! Come and take advantage of our offer at The Dugout Sports Bar of 2 Bombs for £5!! Come and join us for a night of Live FA Cup Football as rivals Chelsea and Man Utd face each other in the 5th round from Stamford Bridge at The Dugout Sports Bar. Who will come out on top and make it to the Quarter Finals?